Congratulations to Mr. Hays' 2nd grade students and Mrs. Graham's 3rd grade students! 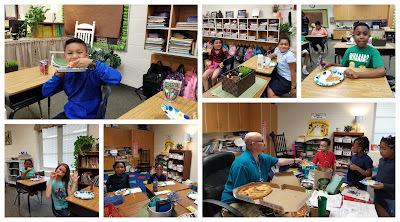 These classes were the recipients of pizza parties today because they had the highest percentage of classroom participation during the Social Media contest! We asked you to like us on Facebook, subscribe to the Compass Blog, and follow us on Twitter and Instagram and these classes responded in an overwhelming manner! 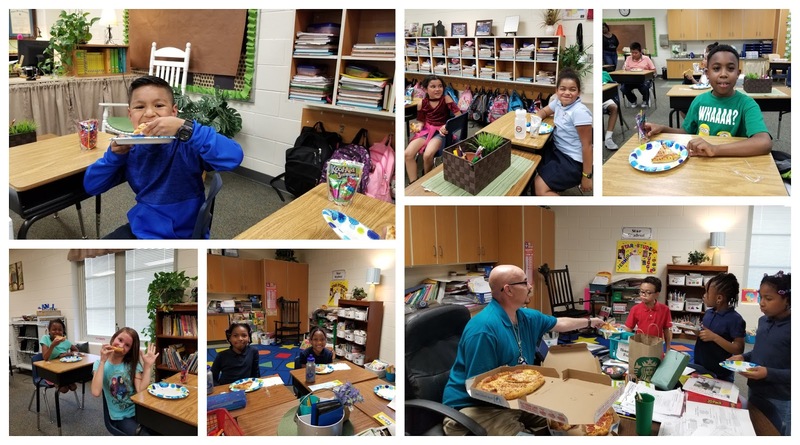 It was therefore pizza for all today and as you can see, it looks as if they thoroughly enjoyed their treats!